This article will discuss what Immediate Load Implants mean. It will also discuss tips regarding visiting a dentist in Mexico for Immediate Implants. 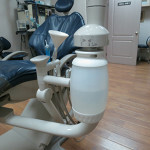 Implant dentistry has been with us now since the early ‘70’s. However the first dental implant was installed during the 50’s. Most recently, Dayo encountered a patient that had one of the first dental implants installed in 1956. 3D Guided Surgery and CT Scans are important for the success of your immediate implant. Your dentist in Mexico will plan the location of the dental implant post based on your existing dental bone. Implant Surgery. Placement of implant/s, followed by a 3-6 months healing period, during which the implant surface integrates with the surrounding bone. Placement of Teeth. Trial and fitting of the permanent replacement teeth / prosthetic. We can see that this process can last several months, for much of which the patient will have a temporary denture or prosthesis. Clearly, any techniques which brought a more immediate reward for the patient’s dental implant treatment were to be welcomed! So, what does Immediate Load Mean? Immediate Load implants (Same Day Implants) mean the placement of a tooth, bridge, or denture right after the implant installation surgery. Traditionally, there’s a 3-6 month healing time in between the implant surgery and the placement of the permanent teeth. With immediate implants, you walk away with a permanent replacement tooth / teeth right after the dental surgery. Load means the pressure you put on the titanium implant post and the surrounding bone. Load could mean the permanent teeth pressure or the bite pressure (such load pressure from eating nuts or fruits). In the past few years, there are a number of new implant systems and surgical techniques that have made immediate loading possible. Each oral surgeon has his or her preference. You’ll see them referred to as Teeth in One Day, Teeth in a Day, Same Day Implants Immediate Load Implants, All on 4 and, or All on 6. For this article, we will focus on immediate bridge / denture (also referred to as prosthesis below) secured by implants installed by Mexico dentists. Bone quality / type needs to be suitable. Bone can be rebuilt. Ideal for patients who need bone build up. One day, provided no bone augmentation or other preparatory work required. Several months, depending on preparatory requirements. Less robust – NO immediate loading system can tolerate full biting force. Loads must be built gradually. Robust, dependable surgical mode, with decades of experience and research underlying it. Less clinically and surgically challenging. So, what’s changed with implant supported dentures (prosthesis)? OsseoIntegration Research. It used to believed, on the strength of good research, that any immediate loading of an implant was likely to damage the bone with which the implant was in contact, and that an extended period of passive integration was required. Recent research shows this to be an overstatement, and that teeth implants installed in patients with certain bone types (and with sufficient of it!) can, indeed, be gradually loaded right after the implant installation in the same day. Provided loads are not excessive, the minor insults resulting from chewing soft food can actually foster bone generation! New Technologies such as 3D modeling CAD / CAM software using CT Scans. Advanced dental technology such as 3D guided implant placements allows your Mexico dentist to deeply analyze your bone structure and plan the implant placements accurately relative to the bone density and quality. New surgical techniques and materials such as angular placement of long implants permit their immediate use. 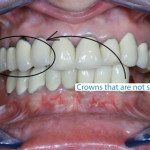 Final adjustment is still necessary, but the patient has the aesthetic, and some of the functional benefits of replacement teeth from the moment they are installed. Although one day loading techniques are used for single tooth replacements, a particularly exciting development has been the full arch, implant-supported permanent bridge, replacing all the teeth in the jaw. In many cases where extensive tooth loss has occurred, trying to hang on to the few remaining teeth can be a fool’s errand. They are likely to be compromised, and clearing them allows the dentist great freedom to place implants in such a way that they provide great strength and durability. Because of the number of implants they use, these techniques are variously known as All on Four, or All on Six. There are a few dentists in Mexico that offer this procedure. So how does immediate loading implant treatment work in Mexico? CT Scan. Have a tomographic scan, from which your dental surgeon will determine the shape, extent and type of your bone. Bone varies greatly between individuals, in its density and quality. Factors such as advanced age lead to less bone quality. 3D Guided Surgery Planning. Once you have established that this treatment is right for you, your oral surgeon in Mexico can use the CT / Cone Beam scan to plan your implant placement. Usually, he uses a 3D dental modeling software to accurately position the implants. A prosthodontist prepares the denture to be installed after the surgery. After Surgery Instructions. Before the surgery, your doctor will explain how to take care of your new implant and teeth after after you leave the dental surgery. You will be told to load your teeth implants gradually, starting with very soft food such as soups and pastas. You will be educated on the special steps you need to maintain the hygiene of your new teeth replacement. Dental Surgery. When all is in place, you come in for your dental implant surgery, followed immediately by the installation of the permanent bridge / prosthesis. Prosthesis Installation. The precise geometry of your titanium posts is recorded to enable the prosthodontist to create the proper holes in the prosthesis. These holes will receive the implant post extensions from the jaw. Follow up appointments. You will be scheduled for control checkups to ensure proper progression of healing. In some cases, you may need an adjustment or replacement of the permanent bridge / prosthesis after it’s fully healed. Once your final prosthesis is in place, you will have lasting, durable and attractive replacement teeth. 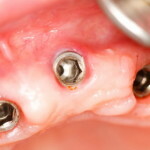 What are the key decision factors associated with same day implants in Mexico? You need a dentist who is not only highly trained, but experienced in this surgical modality. This is an advanced level surgery. Ask to see case histories from your prospective clinician’s portfolio. You need to know his or her credentials very well. Need Good Bone. You have to have good quality bone, and plenty of it. If you have been without your teeth for a while, you will have lost bone. This can often be restored with grafting, but it adds expense and further stages to the process. Before you book a flight to Mexico, see a local implant dentist or periodontist to determine if you have good bone for this procedure. Strictly follow doctors’ advice after the procedure. No restoration can tolerate full biting loads in the immediate postoperative period. If the doctor said you can’t chew on prosthesis, you should be careful! Go for follow up treatments. Even though it’s in Mexico, you have to go for follow up appointments to ensure treatment success. 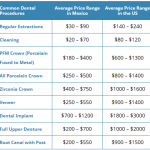 You can save tremendously by going to Mexico for this procedure. Imagine saving the amount equal to the price of a brand new car! Call Dayo at 877-987-3296 to learn more about finding a dentist for immediate implant procedures.